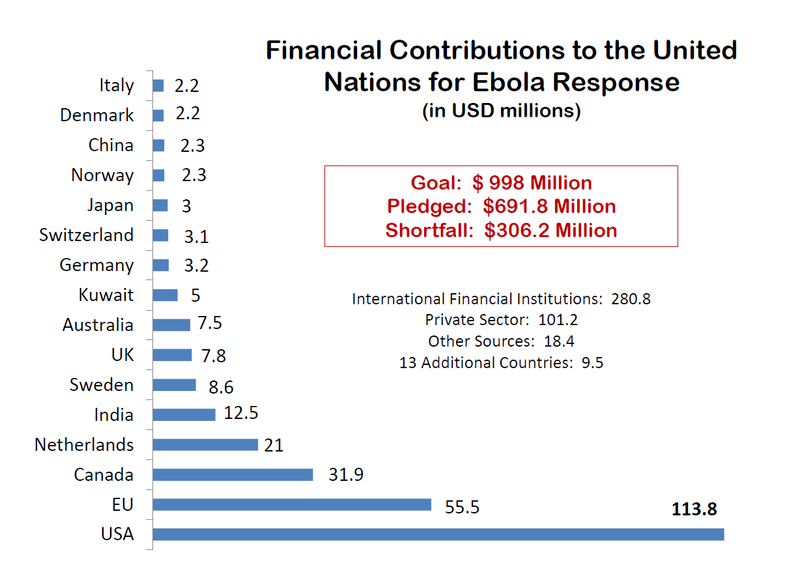 Here is a break down on the contributions being made to stop Ebola. When the data is adjusted to reflect contributions as a % of nominal GDP the US contribution does not look so impressive (Go Netherlands!). But Kerry’s main point remains -there is a 306 Million shortfall. 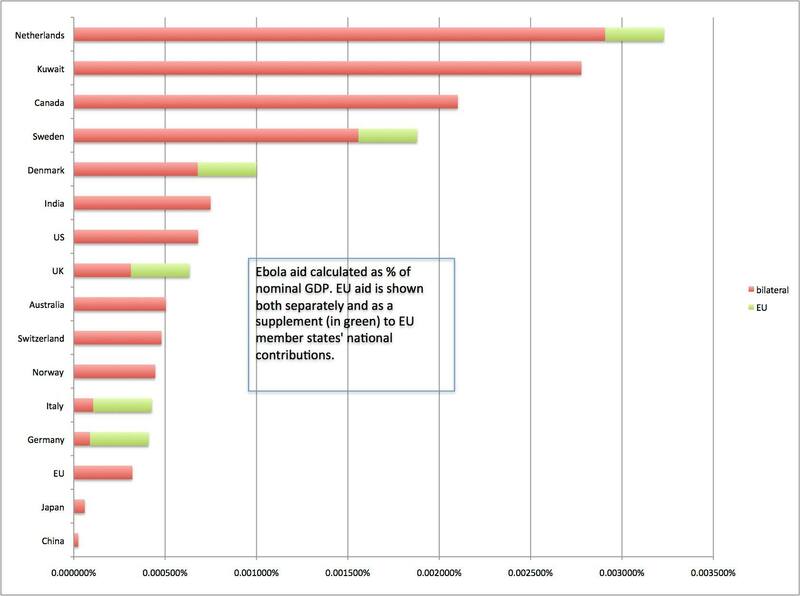 The Adjusted statistics are courtesy of Dr. Rex Brynen at McGill University -Thanks Rex!